Get Wet Swimming is simply the best little Swim School in this beautiful Tweed Valley and beyond. In November, 2007 (with the closure & reconstruction of the council pool) David & Julie decided to construct their own teaching complex at Quarry Road in the Mt Warning Industrial Estate. Get Wet Swimming opened with an above-ground steel construction pool but has since updated to a concrete 17 x 6 metre above-ground pool. The Get Wet pool has ticked all the boxes for environmental sensitivity and sustainability. Get Wet has been an industry leader by being one of the first to use Ozone technology to disinfect the pool. Get Wet derives over 85% of our pool heating from the Sun. Our pumps all have energy saving capacity installed, for which we have gained recognition from the NSW Government Energy Efficiency and Sustainability Awards. Get Wet is naturally very proud to bring all this to the people of The Tweed Valley and surrounding areas. Julie and David want to acknowledge our work in the 90’s under the late great John Carew and his wife Barbara, themselves leaders in this industry now spanning over 50 years. This was an invaluable experience and one which educated and inspired us with their world class knowledge of swimming in the modern era. David and Julie ran a very successful Coaching and Swim school together in Alstonville (Northern NSW) before moving to Brisbane in the 90’s, then to Gold Coast on the eve of the 2000 Sydney Olympics and opened Get Wet Swimming at Tugun. Julie’s three children competed at various levels in swimming and water-polo. Julie, herself spent quite a few years swimming in Masters competition. The love of children and water turned her towards teaching during the 80’s and that’s where it all began. David has surfed all his life and knows the importance Swimming in the Aussie lifestyle. Started teaching swimming with Department of Sport and Recreation at Vacation Camps throughout NSW,writing and implementing Swim programs for this Dept and later co – ordinating Regional Programs in the North Coast including The Tweed Valley which now is home. David is coming up to 30 years as an Austswim Teacher and Julie 20 years. 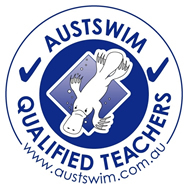 Julie and David both hold Australian Swim Coaches and Teachers (ASCTA) Licences, Julie Level 1 Bronze and David a Level 2 Bronze. Both affiliated with the World Swimming Coaches Assocition (WSCA). Pupil-centred learning also called child-centred learning is an approach to education focusing on the needs of the students, rather than those of others involved in the educational process, such as teachers and administrators. This approach has many implications for the design of curriculum, course content, and interactivity of courses. Student-centred learning, that is, putting students first, is in contrast to teacher-centred learning. Student-centred learning is focused on the student’s needs, abilities, interests, and learning styles with the teacher as a facilitator of learning. This teaching method acknowledges student voice as central to the learning experience for every learner. Teacher-centred learning has the teacher at its centre in an active role and students in a passive, receptive role. Student-centred learning requires students to be active, responsible participants in their own learning.